Bart, the creator of Panfish On The Fly, has been fly fishing and fly tying for over thirty years and writing about it for almost as long. Although he has been known to fish for trout and salmon all over the country, his true passion is chasing bluegill and other panfish with a fly rod. As an endorsed fly tier for REGAL VISE he enjoys teaching others about the art of fly tying. 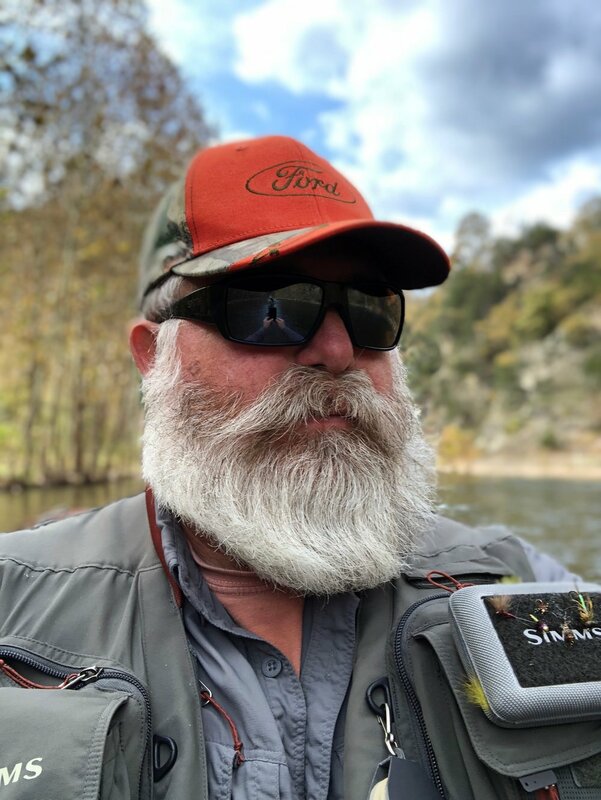 He has been featured guest on a number of podcasts including The Warm Water Fly Fishing Podcast, Tenkara USA's Tenkara Cast, and The Orvis Fly Fishing Podcast with Tom Rosenbauer. He is also a fly fishing and fly tying instructor for Orvis and has done similar work with LLBean. Currently he is giving fly tying lessons at the Orvis - Princeton on a regular basis. Do you want to book a guided fishing trip with Bart? He is currently guiding for Shannon’s Fly Shop in Califon, NJ. Contact the shop to book a trip. Bart can be contacted via email at info@panfishonthefly.com. Lou Digena is a Regal Endorsed fly tier. Lou’s background in fly tying includes 25+ years experience with a commitment to designing patterns with the K.I.S.S. rule (Keep It Simple Stupid). He primarily targets trout, bass and bluegill throughout the United States. His home waters are in the northeast where he prefers fishing for native Brook Trout and wild Browns. He enjoys tying traditional patterns like the Frank Sawyer's Pheasant Tail, and Killer Bug and creating new patterns, like his Bubble Pupa, CE Crayfish (Close Enough), and K.I.S.S. Crane Fly Larva. For more patterns and info visit flyandfin.blogspot.com or email him at flyandfin@gmail.com. Jack Harford is a member of Fly Fishers International and the Indianapolis Fly Casters (IFC). He has twice received the Everett Drake Fly Tyer of the Year award bestowed by the IFC. Jack contributes regularly to several Fly Fishing and Tying social media groups and has taught Project Healing Waters tying classes. He is a regular tier at the Sowbug Roundup and will be giving a class on soft hackle flies in 2019. Jack taught a soft hackle class at this year's Heartland Fly Fishing Festival, and has tied at the Kentuckiana and Ft. Wayne Fly Shows. He is editor of the Armchair Angler and has had articles published in the Tenkara Angler magazine.